I have always fantasized about baking these but was too scared to even try it. It was always on my must bake list but somehow I managed to push it to my ongoing list of procrastination. 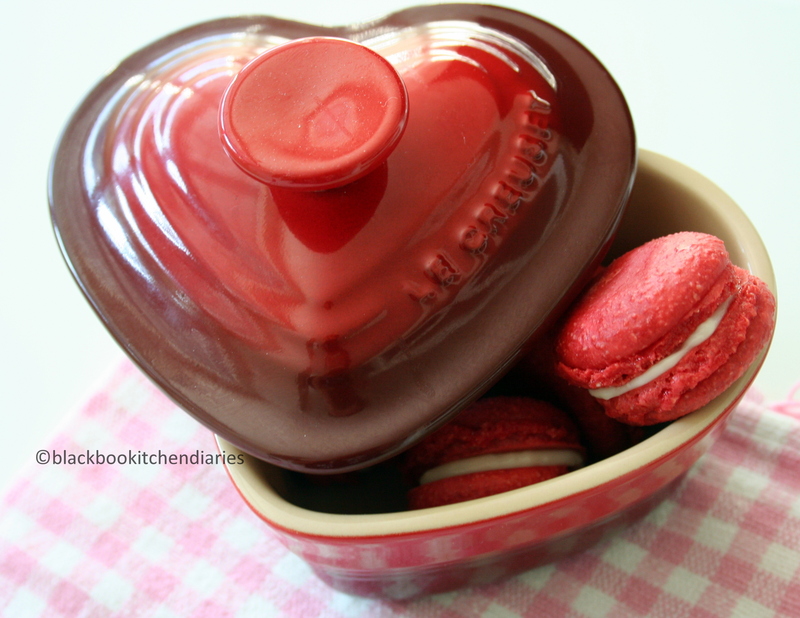 Baking these classic french macaron is all very virgin territory to me and I was dying to try it. So, after doing various research online on recipes and how to and what not to do, it got to a point where it can get really overwhelming and very frustrating. And I haven’t even started baking yet; just by reading and visualizing the technique and possibility – disaster. I have had a 2 pound bag of ground almond, aged egg whites and a new pipping tip just sitting on my counter looking at me wondering why I’m being such a wuss. That was 3 days ago. And now, batch#2. This time I tried using a lower heat after reading different tips and suggestions online. 5 minutes later after being in the oven, I was already jumping in excitement!! It had feet! Yes those pretty little feet! I was so happy I just wanted to shake someone! 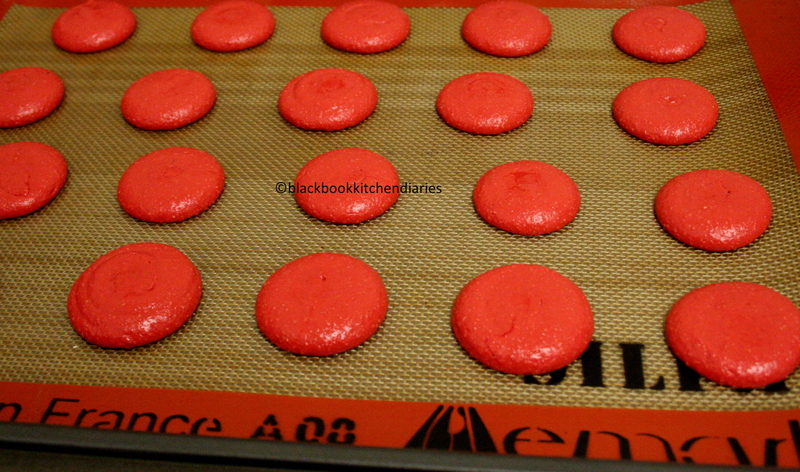 I guess that whole celebration was a little premature because after letting the macaron shells cool on my baking tray I notice that the top was not as smooth as it was supposed to be. It look like it had little bumps on it and the feet could look a little better. Arrgh! I can’t seem to catch a break! But, it was after all my first attempt and I am going to try it again. I am going to get this right no matter what. I already have another mixture ready to go and hopefully this time it would look nice and smooth and not like it’s on puberty. oh, a hungry man serving in Sudan shouldnt be looking at these… love it!! Oh my! I think we’ll head over to your place when you make batch 3, 4, 5, 6… Yummy! 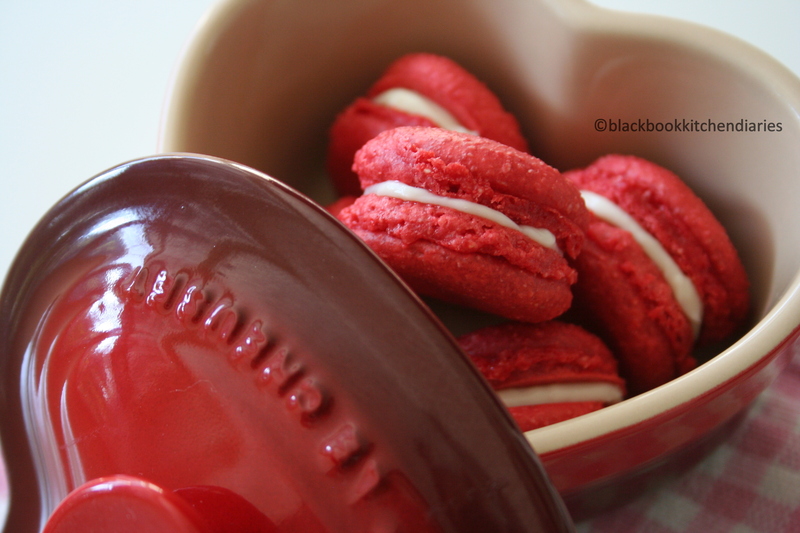 I made raspberry macarons – twice. The first batch was a total flop. I swear it was the humidity. The second batch were an absolute HIT! So keep at it!